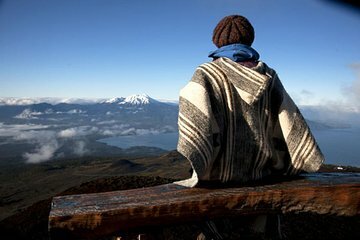 Visit an active volcano and other natural highlights of Southern Chile. Begin on the southern shores of Lake Llanquihue and enter Vicente Pérez Rosales National Park. Marvel at the turquoise waters of the Petrohué Waterfalls and the tranquil beaches surrounding Lake Todos los Santos. Lunch in Ensenada at the foot of the Osorno Volcano. Travel up the volcano to a ski resort for striking views of the Petrohué River Valley.